Yes you’ve read it right. 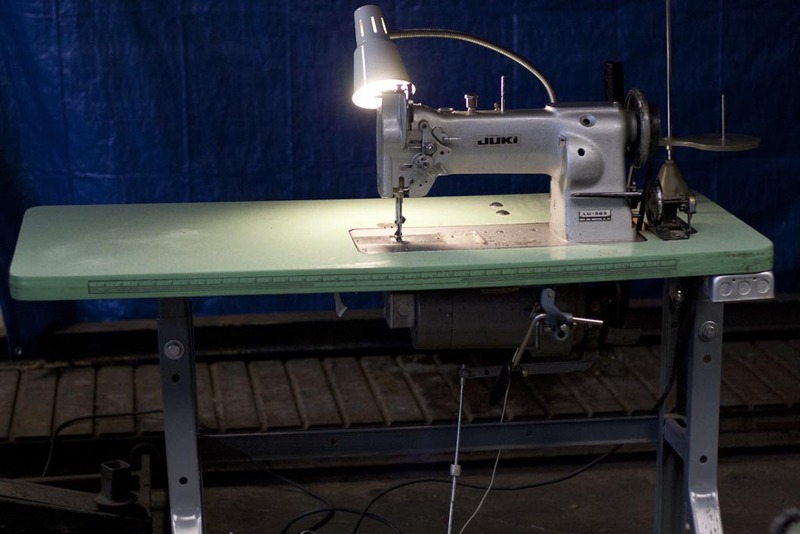 We may have some interesting products leave Mint Design in the future with a new Juki LU-563 sewing machine we acquired. After a 5 hour drive it needed a good cleaning and tune up before we even plan on using it. 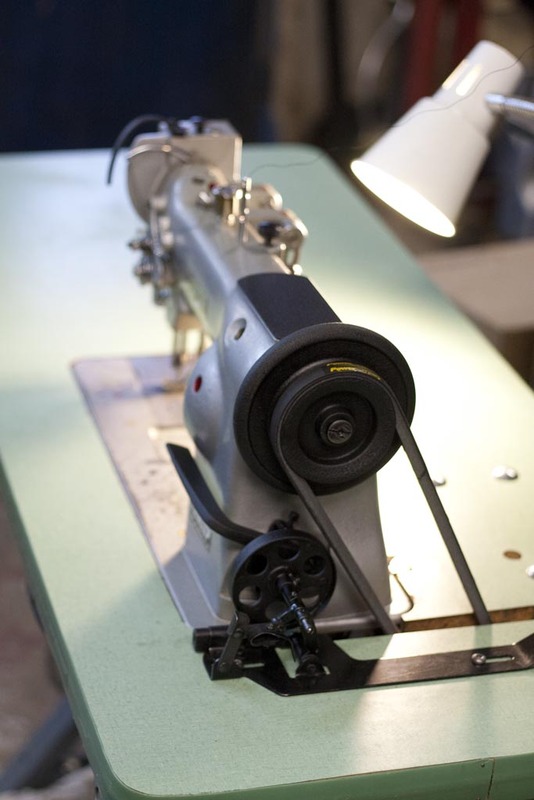 It has a 1/2hp industrial motor with clutch engagement, it can sew basically any fabric that can fit within the feet. 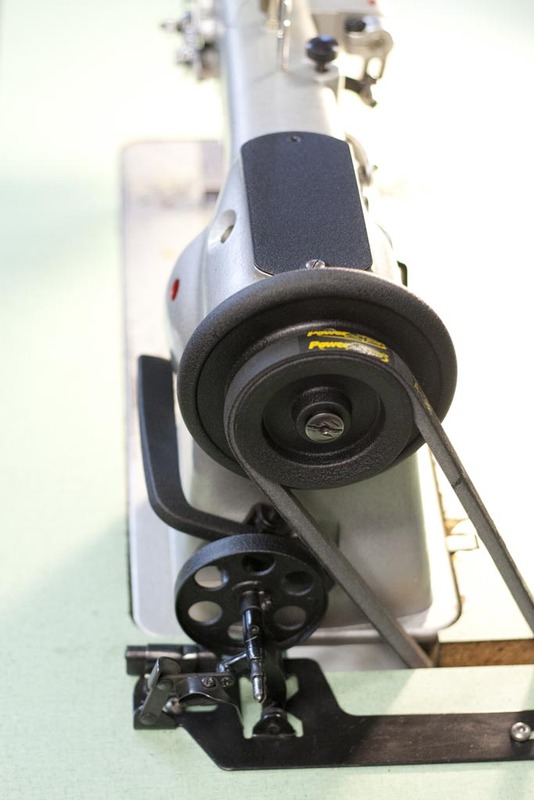 It has a variable pressure walking foot, so it can feed through sticky or slippery fabric with ease that would normally cause irregular stitching or bunching up on a regular sewing machine. 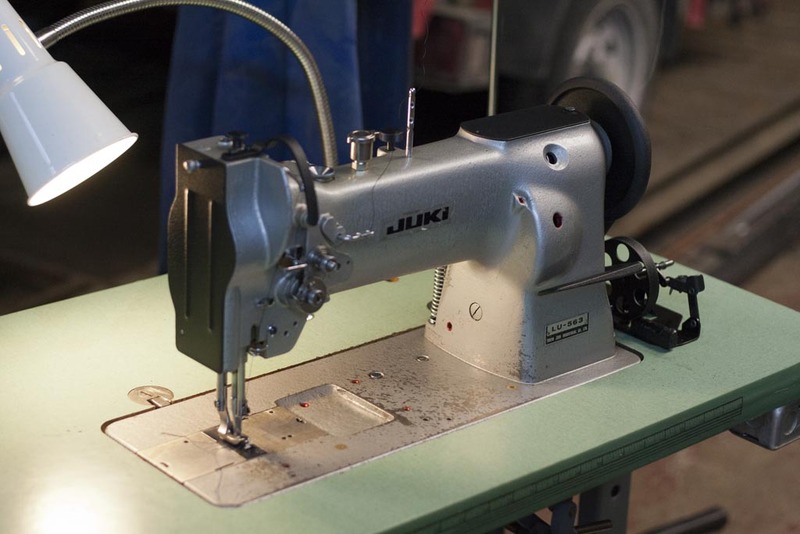 The Juki LU-563 sewing machine was the staple of the denim garment, leather and upholstery trades starting in the mid 80’s. They were made in Japan and just plain made to last. Here it is in the shop after we unloaded it from the trailer and lightly wiped it down. Overall not too bad. It was having some stitching issues and had some wear and tear to the cosmetics of the sewing machine. So it was sent for a tune up at Century Textiles and then pieces were removed to get powdercoated (wrinkle black) with Sean at Jamison Automotive Services. Once we got all the pieces back the sewing machine was reassembled and it’s now ready for service!